I usually don't like broccoli. 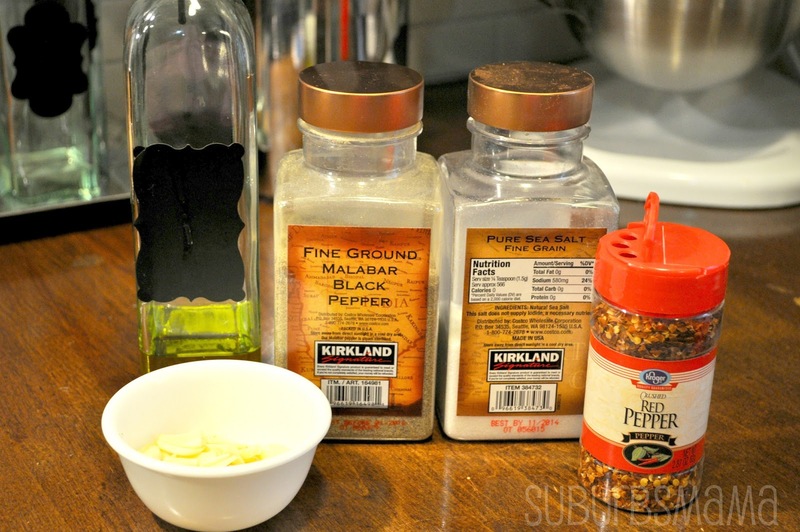 However, this is one of my most favorite side dishes. 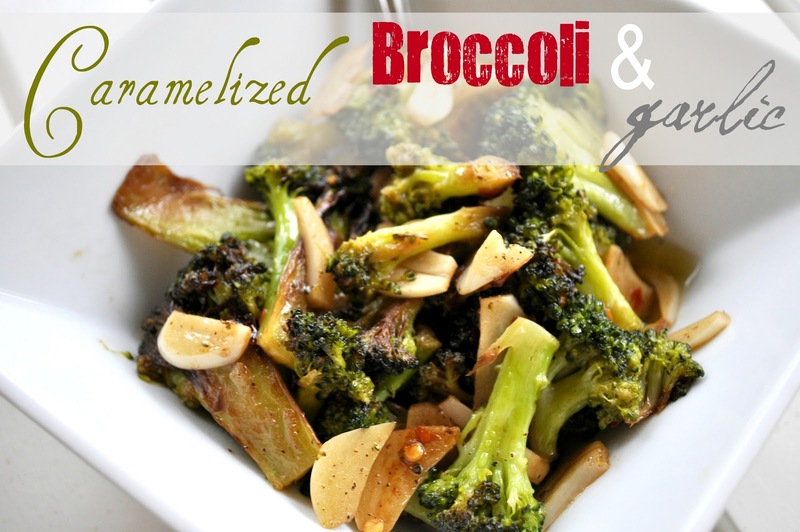 It is so easy to make, and is packed with flavor. 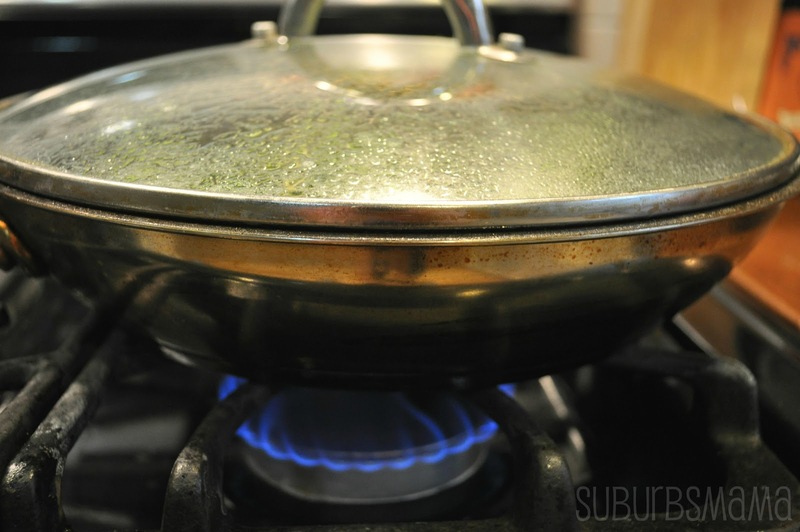 In a large, deep skillet, heat 2 tablespoons of the olive oil. 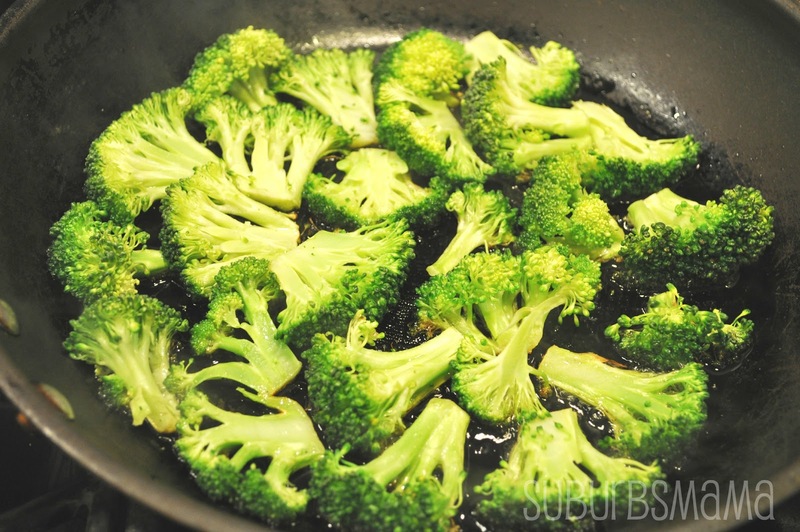 Add the broccoli, cut side down, cover and cook over moderate heat until richly browned on the bottom, about 8 minutes. Add the water, cover and cook until the broccoli is just tender and the water has evaporated, about 7 minutes. 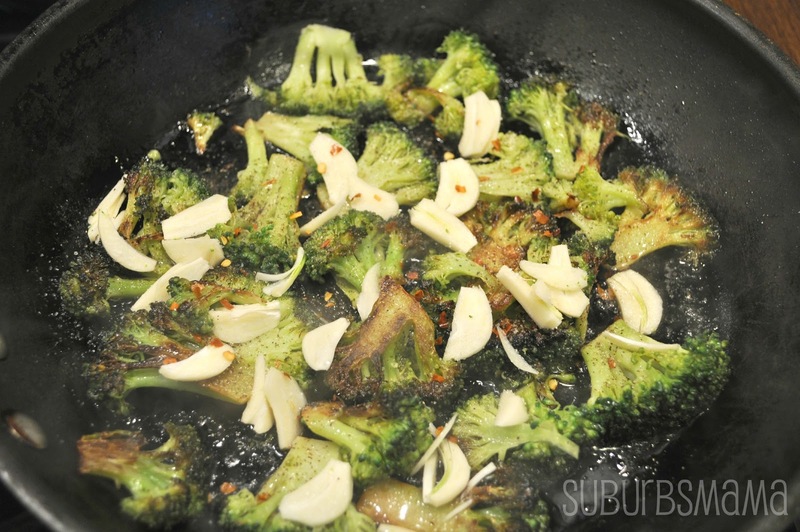 Add the remaining 1 tablespoon of olive oil along with the garlic and the crushed red pepper and cook uncovered until the garlic is golden brown, about 3 minutes. 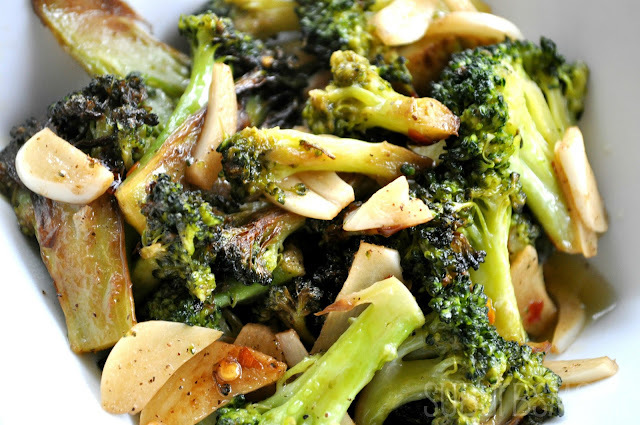 Season the broccoli with salt and black pepper and serve.